Would you buy a new car and never wash or wax it? Would you carpet your home and never vacuum or clean it? Would you send your child out in the sun without the proper UV protection? 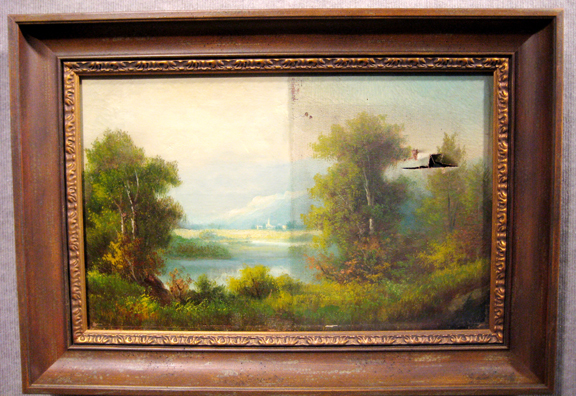 Have you had your original oil paintings cleaned & varnished? Years of accumulated dust, fireplace and cigarette smoke as well as other contaminants in the atmosphere take their toll on your prized artwork, making their images difficult to see clearly. A careful removal of this old varnish and an application of new varnish by an experienced professional will restore your artwork to its original beauty. The difference can be very dramatic. If you’ve acquired a newer oil painting (less than six months old), it will most likely not have the protective coat of varnish. Oil paintings should be allowed to dry for at least six months before varnishing. 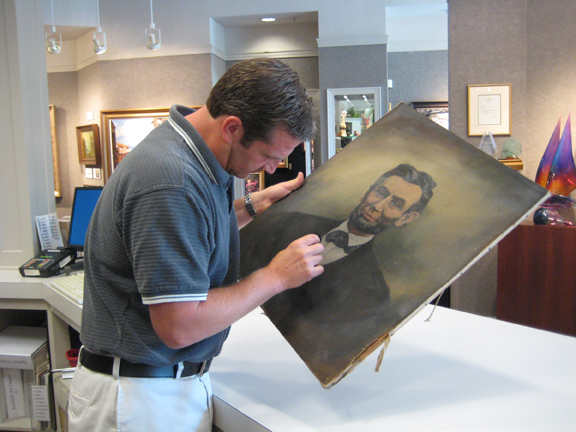 Once the painting is completely dry, you should take it to an experienced professional to have it varnished. Were your prints originally framed over 20 years ago? Conservation framing techniques weren’t widely used at that time, so chances are good your artwork is being exposed to acidic materials that will damage it and to non-UV-filtering glass that will allow fading. How NOT To Hang A PictureWhat Does Hand Embellishing Mean?